The Sindh government will take up the matter of financing the Public Sector Development Programme (PSDP) schemes worth Rs 277 billion in the upcoming meeting of the Council of Common Interest (CCI) so that the vital projects could be completed on time, Pakistan Today learnt on Sunday. Sources said the Centre had withheld the funding of the PSDP 2010-11 in the province citing financial problems. The provincial government has time and again approached the Ministry of Finance for an early release of funds, but the federal authorities argue that as provinces had been financially empowered to generate funds after the 7th NFC Award and the 18th Amendment, it should not be a problem for the Sindh government to arrange the funds for PSDP itself. The provincial government had raised the issue at a meeting of the cabinet’s Economic Coordination Committee, but the federal government turned down the request, citing the country’s economical crisis after the global recession and the situation after the recent floods. “Hundreds of development schemes that are to be funded by the federal government will be adversely affected if funds are not released on time,” the sources said. The Sindh Finance Department had recently forwarded a letter to the Ministry of Finance describing the current status of the projects and the mode of financing, and requested for the provision of funds, but no positive reply has been received so far. The Sindh chief minister also took up the matter with the president during the latter’s visit to the province. The president had assured Qaim Ali Shah of looking into the matter and the funds would be provided within the stipulated period. The Sindh government will now take up the issue in the upcoming CCI meeting. 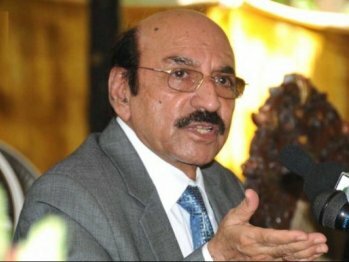 Sindh chief minister’s adviser on planning and development, Dr Kaiser Bengali, said the issue of financing the Rs 277 billion PSDP schemes in Sindh “remains unresolved, as federal authorities are reluctant to provide the funds”.